In the present scenario, the Internet has become a major site to look for a house. Buying a new house is one of the most critical decisions a person makes. Quite often, home buying depends on the perception made on the basis of online listings and the information gathered from official websites of the builders. The Internet provides every minor detail that a potential buyer needs to know. This includes – type and price of the house, the layout and design, amenities that come along, characteristics of the neighbourhood, accessibility of the location, details about the interior and the material used, among others. Despite that, Modi Builders understands the importance of visiting a site in real. Learning about the physical presence of a place allows homebuyers can help develop a perspective. It definitely impacts the buying decisions. Weekends can be scheduled to consider a tour to the site, or off hour tours can also be taken. Location plays a crucial role in the final decision of buying a house. A home tour on a weekday will be more efficient to actually know about the location. This will reveal what the neighbourhood stands out for, how the environment will be at night, and even the security arrangements of a place. Moreover, to know about the location, a formal tour is not necessary. Flats for sale in Bandlaguda are increasingly becoming popular among homebuyers for their location. Peaceful as it is, Bandlaguda is one of the well-connected locations of Hyderabad. The basic measurements are usually available online. It gives an estimate about the size of the rooms, as well as the house. However, an off hour tour can help you have a clear idea about the specific measurements. Besides, you can anticipate how you will modify spaces like storage areas or closets into a study room or a home office. In a country like India, traffic is a major issue that affects the lifestyle of a person. This makes it necessary for you to visit the location, in order to get a realistic idea about the situation you may have to face while commuting. Villas for sale in Secunderabad are a good option to avoid major traffic chaos. Tucked away from the hustle of the main city, Secunderabad offers a peaceful environment to the residents. To know about the traffic, it is recommended to take a tour on weekdays. For a major investment like this, experts at Modi Builders advise to not take such decisions without proper analysis. Off hour tours can help significantly, when making such life-altering choices. This will assist you in finding competitive deals, and buying the house of your dreams. Secunderabad, considered to be one of the backwards locations of Telangana, has been witnessing major growth in every aspect over the last decade. Caught by a number of social issues, the city could accommodate very few people, who were living in terrible conditions. The twin city of Hyderabad, Secunderabad was clearly in need of reconstruction. In a bid to bring in change in the realty scenario, Modi Builders Group carried out a number of projects. It was around two decades ago, when the builders decided to enhance the living standards of the people residing in this locality. Initially, the realty group constructed several commercial projects across different colonies of Secunderabad. Apart from creating employment in the location, the builders brought various facilities like electricity, water supply, hygiene, and others, to the city. After a few years, Secunderabad was seen developing and expanding at a faster pace. The city soon became an IT hub, and the real estate activities started flourishing. The demand for residential property was rising, initiated by the IT executives, traders and defence personnel. Modi Builders began constructing luxurious residential projects in Secunderabad. Its projects were targeting not just the immigrants, but also the locals. Owing to that, the developer offered luxury apartments and villas for sale in Secunderabad at affordable prices. The efforts of Modi Builders successfully contributed to the enhancement of basic infrastructure, as well as the living standards in the area. At present, Secunderabad is considered to be one of the well-connected and convenient locations of Telangana. Dwellers of the city are now benefitted by the availability of various social amenities, such as schools, colleges, hospitals and banks. Villas for sale in Secunderabad have emerged as the preferred option among the property buyers. Offering a soothing environment to the residents, these villas are in greater demand. Modi Builders have constructed a number of villa projects, including Harmony Homes, Golden County, Sterling Homes, and Golden Palms, among others, to meet the rising demand. Apart from offering luxury and basic amenities, every project by Modi Builders is ensured to be in the budget of majority of the people. The location enjoys greater connectivity to Hyderabad and other locations in the outskirts. This makes commuting easier. Luxury villas offer ample of comfortable luxuries that contribute to an enhanced lifestyle. Some of these include, multi-level club house, swimming pool, green surroundings, air-conditioned gym, green landscape gardens, and sprawling lawns. Offering futuristic amenities and modern technology, villas for sale in Secunderabad by Modi Builders are available at affordable prices. These villas offer a quality atmosphere, along with green surroundings. This ensures a calm and peaceful atmosphere to the dwellers. Modi Builders ensure gated community villas, which are considered to be safe by the homebuyers. Secunderabad has transformed into an ideal residential location. Today, it is being considered a favorable location for offering peaceful environment, away from the hustle of the main city. Buying a house is one of the biggest milestone in a person’s life. One can’t afford to be hasty or impulsive while making such a decision. In fact, a person considers several factors before investing in a property. The most important factor that one considers is affordability. Affordability: When the realty market in the rest of the country has remained sluggish, Hyderabad market has been witnessing a booming period. As the developers in the city are adapting the latest policy changes, affordability has become one of the prominent characteristics of the market. Infrastructure: Initiating various projects, the government has been showing keen interest in the development of Hyderabad’s infrastructure. These include – the Jawaharlal Nehru Outer Ring Road for connectivity, and the Hyderabad Metro Rail project. IT hub: Leaving behind Bengaluru as the emerging IT hub, Hyderabad is increasingly attracting more workforce. Owing to this, the residential market is also set to flourish. Besides, developers are delivering new projects as per the demand of the buyers. A number of people from across the country are choosing Hyderabad as the destination for their dream home. On the other hand, the city is giving them various reasons to invest. The residential spaces here are becoming preferable, as they offer ample space, several amenities, and are located in serene locations. The flats for sale in Hyderabad are being designed to offer international lifestyle to the dwellers. Designed with world-class amenities, the projects are being placed in sophisticated locations. Modi Builders ensure to erect their houses in peaceful sites, away from the hassles of the city. The realtors have made a significant impact in the evolution of modern-day living. Other than focusing on affordability, the Hyderabad-based realtors focus on introducing luxury houses. They deliver houses that are not just luxurious, but also fit your budget. Paradise Homes: Located in Hyderabad’s Hayatnagar area, the project is spread over an area of 4 acres. It consists of 520 luxury apartments, offering several facilities for a healthy lifestyle. The apartments start at Rs 18,89,000. Pinewood Homes: This project by Modi Builders comprises of residential plots and exclusive apartment residencies in Ghatkesar of Hyderabad. The project comprises of various necessities, including park, bank, hospital, bus station, petrol pump, and restaurant, among others, in the neighborhood. These luxurious plots start at Rs 13,14,500. 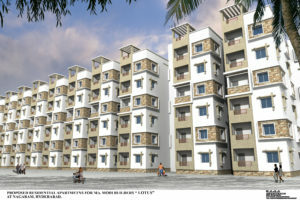 Lotus Homes: Approved by HMDA, this premium apartment project is located Bandlaguda. 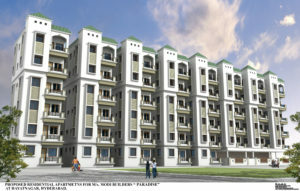 Consisting of 533 apartments, it is purely a residential project with no offices in the locality. The prices of this luxury project starts Rs 25,50,000. Emerald Heights: This premium project by Modi Builders is located in Pocharam, Hyderabad. Offering 2 and 3BHK apartments, the project is designed for those who wish to live in a clean and pollution-free environment. One can buy these apartments starting at Rs 31,28,000. The flats for sale in Hyderabad are proving to be a good investment option across India. Besides, Modi Builders are ensuring to deliver luxurious and affordable houses to their buyers. Last two years have witnessed the introduction of several new policies, as well as amendments to the existing acts in India’s real estate sector. Although the Indian government aimed at bringing favourable changes with these amendments, it turned out otherwise. Policies like Real Estate Regulatory Act (RERA), Goods and Services Tax (GST), and demonetization, were implemented to boost the Indian realty market. However, these policies left a whammy and the new launches saw a fall by 50 per cent, in 2017. While the realty market in other cities is witnessing a glooming season, Hyderabad is emerging as one of the most promising options for investors. Developers are adopting the policies quite well and the city has been casting back positive signs of growth, this year. With implementation of RERA, Hyderabad-based developers are shifting their focus on creating affordable housing. Besides the real estate market is on an upswing, the city is also becoming a destination of premium luxurious homes. Why Luxury villas in Hyderabad are famous? The villas in Hyderabad are defined with best-in-class amenities and specifications. The leading realtors of the city, like Ramky Group, Modi Builders Group and NCC Urban are dedicated towards erecting residential spaces that are not just affordable, but luxurious too. These realtors aim to offer the finest lifestyle to the dwellers. For instance, Ramky One Galaxia by renowned builders, Ramky Group is a luxurious apartments in the Nallagandla Gachibowli region of Hyderabad. It has top-notch amenities and specifications, including marble flooring in the living and dining rooms, and laminated wooden flooring in bedrooms. The apartments are air-conditioned and comprise of power back-up facility, a playground for children, an intercom facility, a club house and a sports facility. Likewise, Modi Builders’ Golden County is a perfect blend of magnificence and comfort. It is located in Rampally, Ghatkesar. The project villas are spread over the area of 30 acres and equipped with amenities like clubhouse, swimming pool, ultra-modern gymnasium, indoor and outdoor games, and children’s play area, among others. These luxurious spaces are available at affordable prices of around Rs 57 Lakhs. Another example of villas in Hyderabad include NCC Urban Gardenia by NCC Urban, which is located in Gachibowli. The project is packed with exclusive amenities, including servant quarters, swimming pool, landscaped gardens, and gymnasium. Although the luxuries are assumed to be for elites, these realtors are changing the way people perceive it. They are moving to the promising areas and creating extravagant houses in affordable prices. Owing to the initiatives of these realtors, Hyderabad is not just becoming the destination of super luxury homes, but is also emerging as the No.1 city across India. With a concrete jungle already built up, the suburbs of Hyderabad are now a viable option for people searching for new homes. Apartments in Kukatpally and various other suburbs on the outskirts offer multiple benefits. Connectivity: The connectivity of a place to nearby markets, office spaces and educational institutes is a crucial factor to consider. For instance, Kukatpally is the destination of choice for many new home buyers in Hyderabad for its favourable location. Kukatpally is close to the financial district of Gachibowli and in proximity to both the IT hubs. A shorter commute to work attracts a large number of people to this suburb every year. 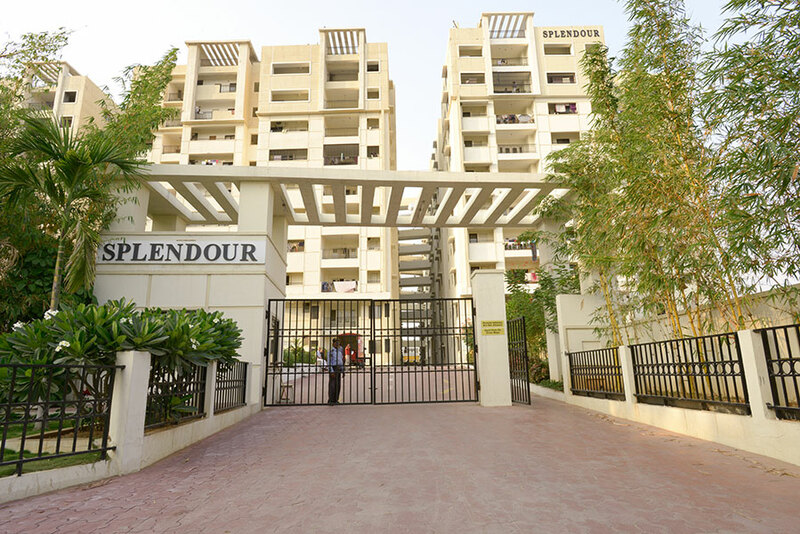 Also, the availability of premium projects like Splendour by Modi Builders, attracts many home buyers. If you are planning to buy apartments in Kukatpally, that can be a wise choice because of the good connectivity to NH9 that links Hyderabad with Mumbai. Located in the Corridor One of Hyderabad Metro Rail, it covers nearly 12 Km Miyapur-SR Nagar stretch. Also, its proximity to IT corridors attracts IT professionals from all across India. Kukatpally’s strategic location along with schools and colleges like DAV Public School, Daffodils Public School, Vishwa Bharathi College of Engineering amongst others, has given it a new stature in the real estate market. Infrastructure: The development and infrastructure of a place play an important role. Over the years, Kukatpally has gone through various stages of development. The coming up of Kukatpally Housing Board Colony, Asia’s largest housing board, along with housing options from various developers like Modi Builders, Lodha, etc., has increased its demand among buyers. The locality is fully developed with seamless roads and well-managed parks. Demographics: Hyderabad has been growing since its urbanization in the 90s. The coming up of major IT companies and the influx of professionals from across the country gave it a special place in the house-rental market. A 10-km proximity to the IT corridor has given the rental market a boost. The average rental income stands at around Rs 20,000 for a 1,300 sqft house. The increasing population of highly educated and motivated professionals has brought like-minded people to Kukatpally, thereby contributing to its real estate prices. Voted twice as the best city to live in, Hyderabad offers its residents a peaceful and well-balanced lifestyle. The growing IT revolution in the city is a major factor that draws large number of people, and Kukatpally is amongst the top-most suburbs. In the coming years owning apartments in Kukatpally could be the best realty choice you make.